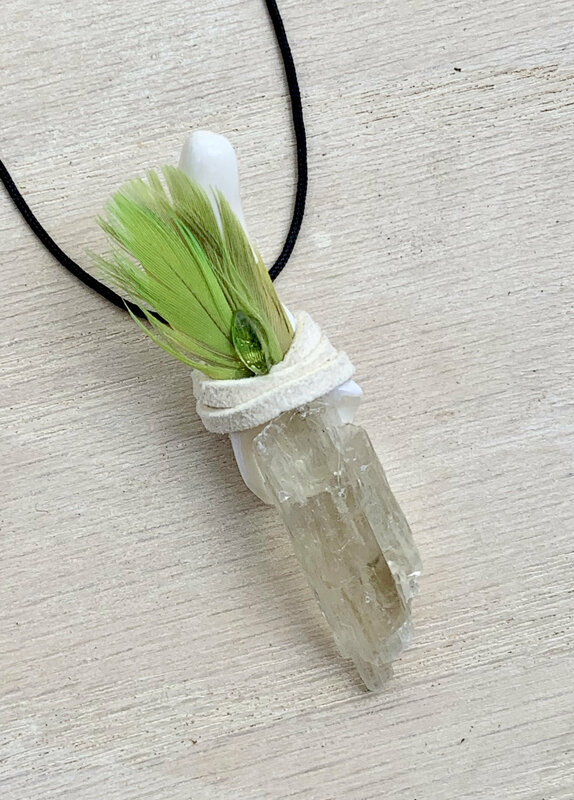 Assists with Spiritual & Emotional Growth; Fosters Healing the Heart; Aids with Releasing Old Wounds, Patterns, & Heavy Emotions; Encourages Confidence, Assertiveness, Compassion, Staying Present & Grounded-ness. Hiddenite – Green Kunzite - encourages growth. 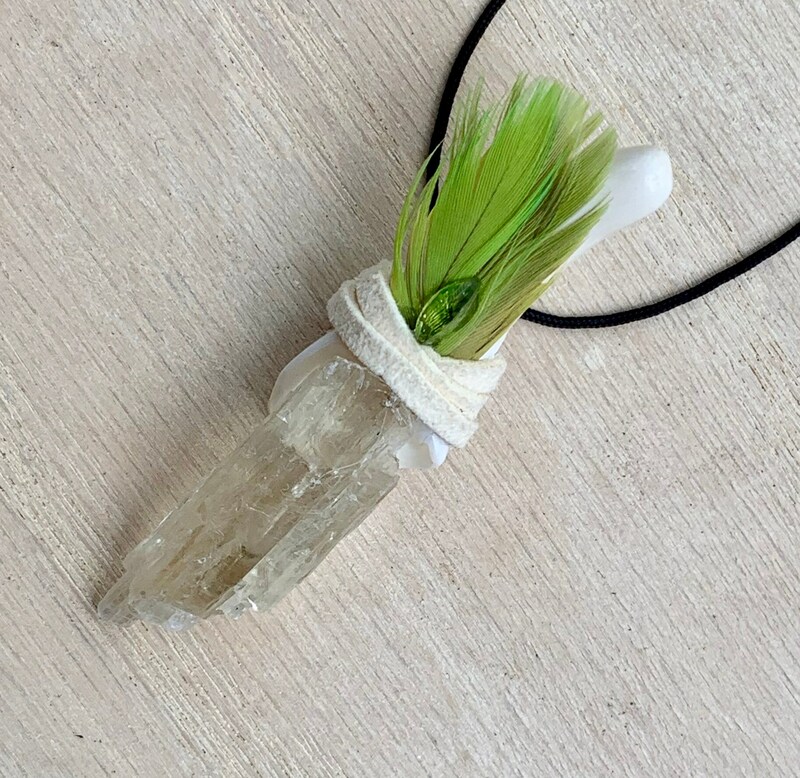 It is a Crystal of Evolution, helping individuals to grow spiritually, emotionally, and to be aware of their collective responsibility for the care of the Earth. It supports new beginnings and focusing on the present, relinquishing injustices of the past or anxieties for the future. 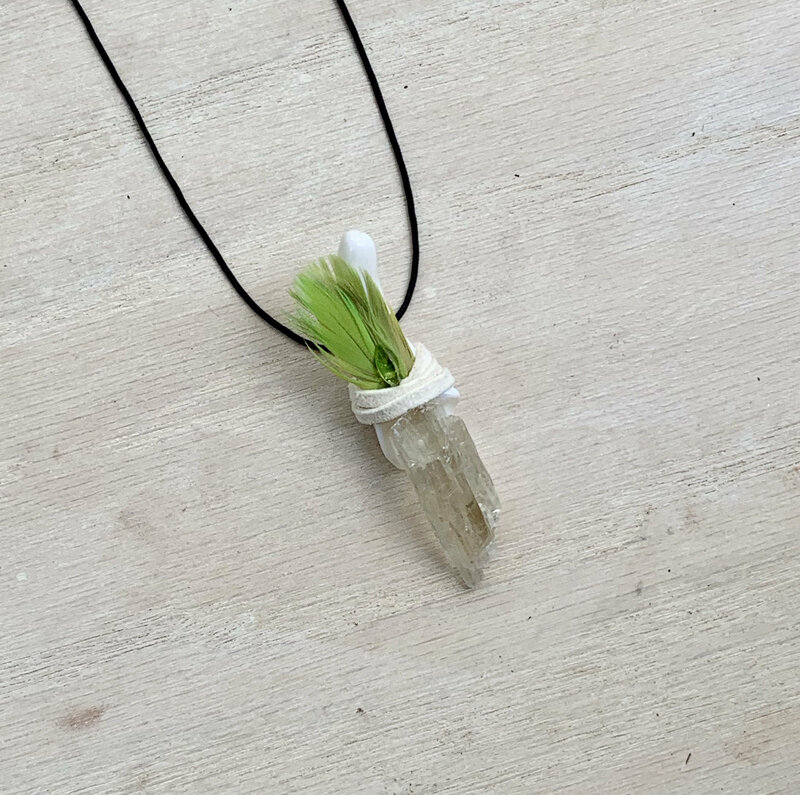 Dispels negativity, shielding the body's aura from unwanted energies and mental influences. Helps in healing deep psychic wounds of the heart and is an excellent crystal for recovery from addictions and abuse. It is particularly comforting for those who have lost someone dear. 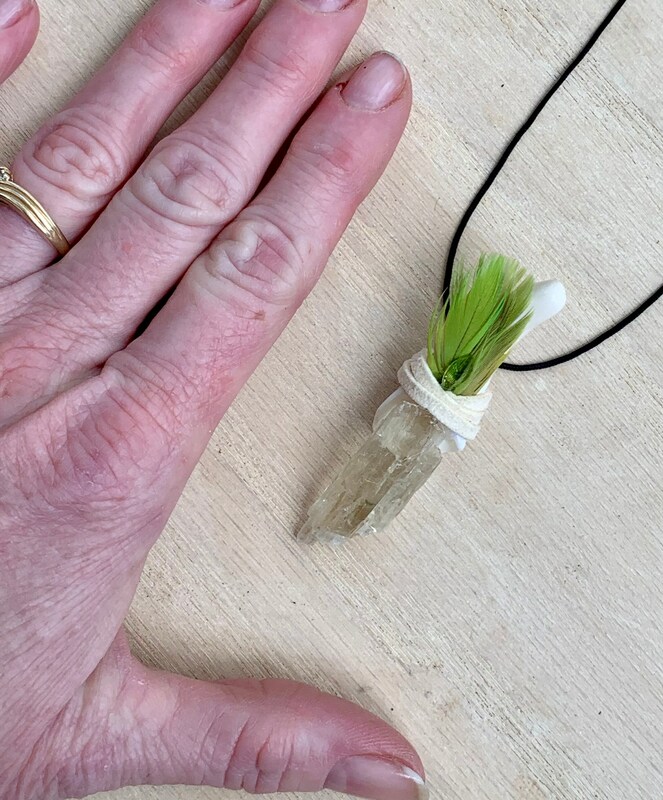 Macaw Medicine - Feather – brings “color and vibrancy” back into our lives; aids in communication skills; assists with both emotional and physical healing; facilitates connection with Pacha Mama (mother earth); helps to increase psychic and spiritual development. Allied with the energies of the sun; aids by helping to heighten perceptions, intuition, understanding of our inner voice. Helps with calming emotional anxieties and bringing about a sense of balance. 2 inches long; Green Kunzite 1 inch.